Blue by Vasily Kandinsky is an abstract composition, but we’re pretty sure that it’s actually the Kraken fighting a ship to the death. The gallery label on this piece claims that “this print may represent the movement of celestial bodies within space. It could also be a visualization of sounds, melodic lines, and percussive rhythms, or simply an abstract arrangement of visual elements,” but we know what’s really going on here. There have been many a legend that have made their way into pop culture about the Kraken, a gigantic sea monster. Major blockbusters include 2000 Leagues Under the Sea, The Clash of the Titans, and The Pirates of the Caribbean: Dead Man’s Chest – all great films. In all likelihood the kraken is just a giant squid, but that doesn’t stop it from being a widespread fascination. Just as people always want what they can’t have, they obsess over what they can’t know. And since the mid-1700s people have been trying to figure out the mystery of this deep sea monster. You would think that one of the fathers of abstract modern art, and a member of the Blue Rider group would be above such earthly curiosities. But alas, he is not. Despite that fact that “he viewed himself as a prophet whose mission was to share this ideal with the world for the betterment of society.” Kandinsky is just as curious as the rest of us and daydreams about sea monsters with the best of us. The only difference is that he claims that this is abstract art. Tricky, Kandinsky. Very tricky. He was kind enough to donate his entire estate to the Nelson-Atkins Museum of Art, but does that make up for his throwing of the mayor down the stairs, and other criminal activities? The jury is still out. "Blue – Works – The Nelson-Atkins Museum Of Art." Art.nelson-atkins.org. Web. 19 Feb. 2018. Reddig, William M. Tom's Town:Kansas City And The Pendergast Legend. [Breinigsville, Pa.]: [Nabu Press], 2013. Print. 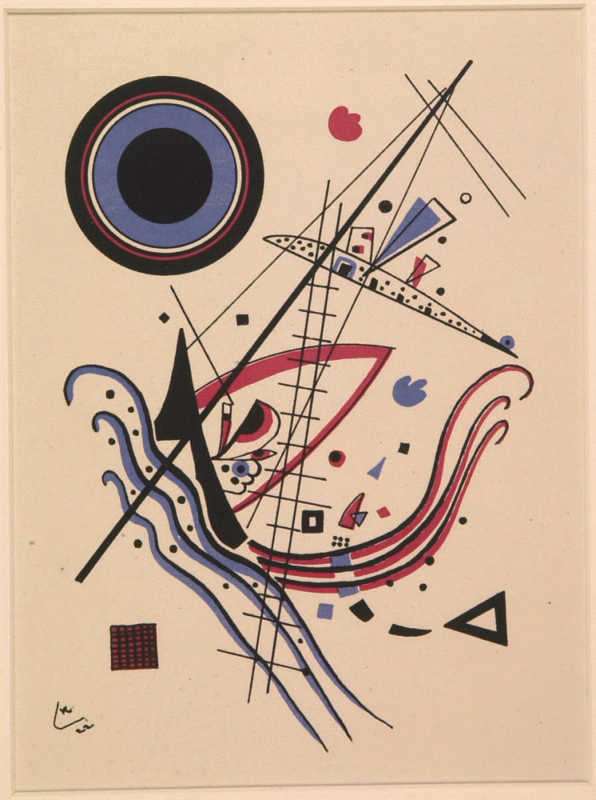 "Wassily Kandinsky Biography, Art, And Analysis Of Works." The Art Story. Web. 17 Feb. 2018. "15 Kraken Facts And Myths To Unleash In Conversation." Mentalfloss.com. Web. 19 Feb. 2018.